It is the first of all, download and upload speed, that ASUS WebStorage keeping our promises in improving them. In this new version of Client v3.0 beta we’ve accelerating them twice the faster than v2.2. Our function panel will help you better understand ASUS WebStorage services. The panel and a series of function instructions will guide you to explore the unprecedented cloud experiences. You are going to find how the thoughtfully designed function panel of ASUS WebStorage provides a range of WebStorage functions that completely do without the complexity of application software, and you cannot wait to try these intuitive functions. You are able to drag your frequently used functions to the upper area of the control panel, and drag various applications to the right or left in the lower area. When you log into the control panel for the first time, we will step by step walk you through every function for you to easily hover on cloud. You are going to be familiar with it in just three minutes. ASUS WebStorage provides data backup, file sharing, and synchronization across multiple devices, such as cell phones, desktops, and laptops. Function setup is therefore very important but easy and intuitive enough to help you to get closer to cloud. This is the easiest way to backup critical data, ensuring that nothing will be lost. 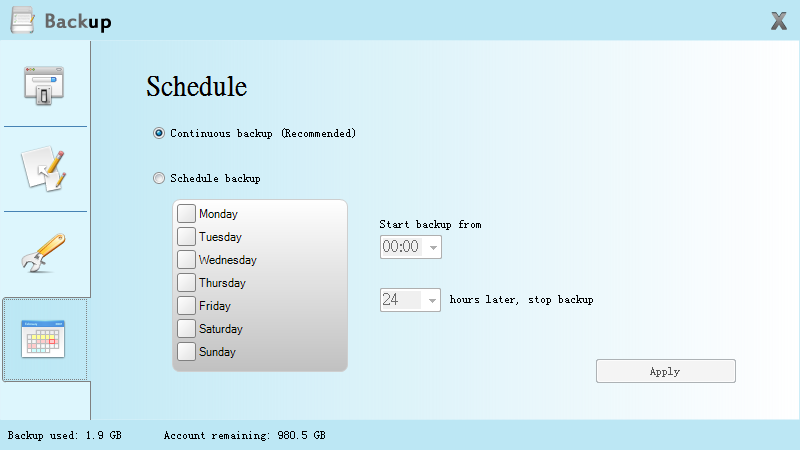 Backup schedules can be arranged at the times most convenient to you to have data protected in your personal cloud. There is also an automatic backup option to effectively protect that files that have been changed or newly added. You are always able to choose the way you like to recover the data in cloud across devices. The backup setup interface provides a convenient view of the current backup status as well as newly added or deleted items. Moreover, there are advanced backup and manual schedule backup for advanced users. MySyncFolder is the best solution for you to carry the latest data with you by accessing such data via cell phone or PC anytime. Music, photos, texts, videos, and various files stored in MySyncFolder can be easily accessed and shared anytime and anywhere. MySyncFolder shows synchronization completion, including the five files that have been most recently synchronized and their device sources to keep you easily informed of the synchronization status. The folder location enabled by automatic synchronization facilitates data search significantly. This is the most convenient bookmark synchronization function that automatically stores all your favorite web pages in cloud and then have them synchronized in different devices. You are able to surf in the cyber world that you are already familiar with despite any hardware change or upgrade. 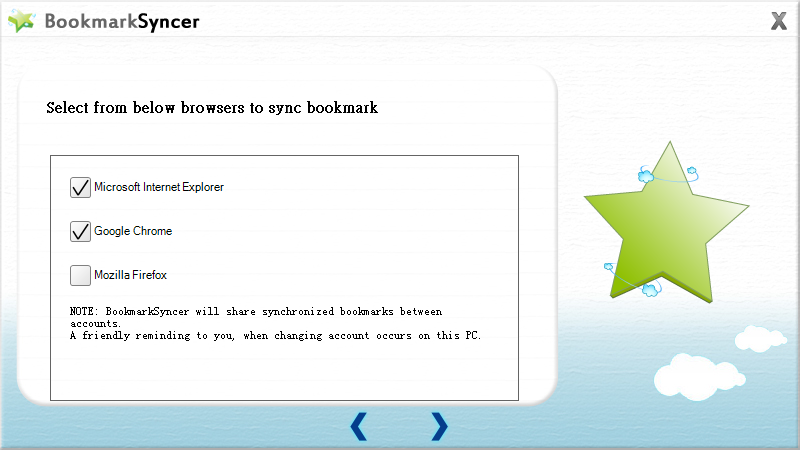 ※ Microsoft Internet Explorer, Google Chrome, and Mozilla Firefox are supported. Here you can access all your backups, synchronizations, group-sharing files, and encrypted folder. 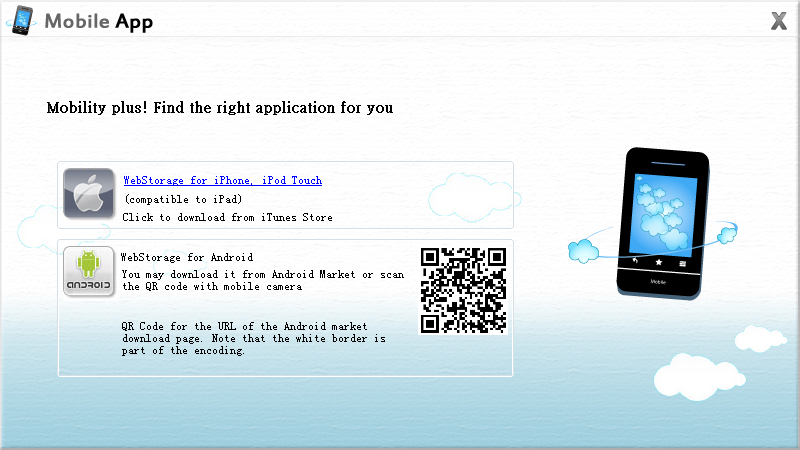 Each folder can be previewed before download, and short URL links are directly generated for sharing. 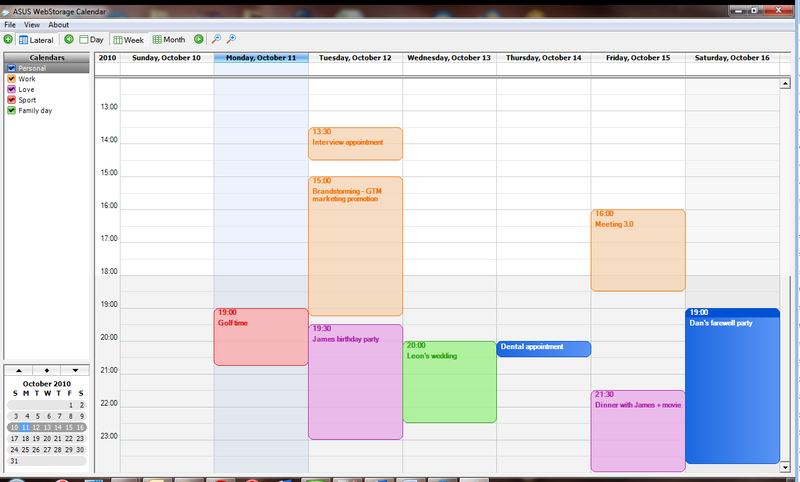 Calendars across devices are automatically synchronized and new events can be edited on any PC. Automatic cloud synchronization provided by ASUS WebStorage frees you from the inconvenience of repeated editing, and the thoughtful reminder mechanism prevents you from missing any appointments. In addition to your PC with ASUS WebStorage V3.0 installed, your cell phone apps and browser let you access your personal cloud when you are on the go to enable mobility and productivity at the same time. At http://www.asuswebstorage.com/ you will enjoy your personal cloud to download and upload files, access online music and photos, display photo albums, conduct full text searches, convert and preview files, and share URLs. Your mobility needs and wants are satisfied anytime. Without physical connection to any PC, ASUS WebStorage Mobile App synchronizes the data in your different devices. Its unique key word and full text searches rapid find the files for preview and download. File transcoding enables easy access to music and photo there, and various file formats are supported for you to easily enjoy a convenient, rapid new lifestyle in cloud. Yes I am interested in haivng a guest blogger. I guess you would send me the information and I would post it for you. Let me know the topic on which you want to write. thank you!